It’s happened. After all of the fake photos and false alarms on Facebook over the last couple of years, Back to the Future Day is finally here on 21 October 2015. 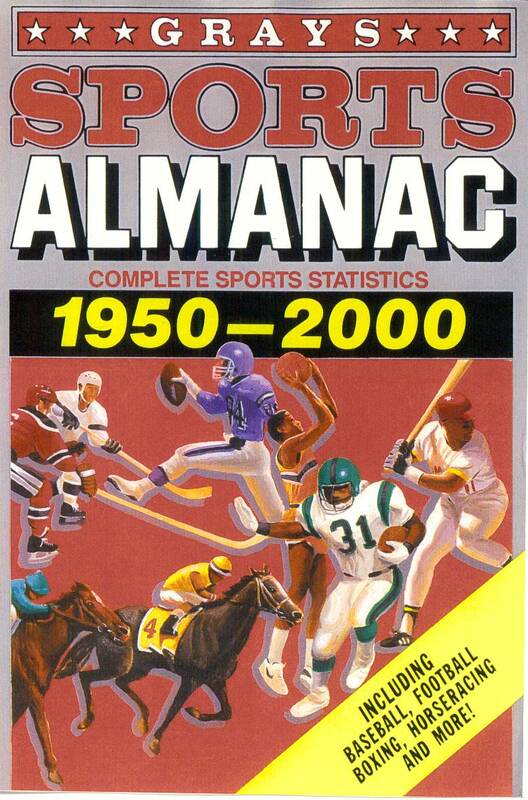 “What the hell is Back to the Future Day?“, I hear you say. Well, it’s where he travels to in his time machine. 21 October 2015. We were meant to have hoverboards and flying cars by now, you know? Unfortunately we don’t. But we do have some pretty great parties happening to mark the event! On the very day 21 October 2015 The Exchange Bar in the Cultural Quarter will be holding their Back to the Future 2015 party. Get your hoverboards ready cause we’ve got a 1950’s Enchantment Under the Sea Dance with live band and authentic crepe paper plus our very own 80’s cafe featuring Michael Jackson, Pepsi and the best in 80’s pop. Also taking place on 21 October from 7pm to 11pm enjoy a full on Back to the Future night at the National Space Centre. 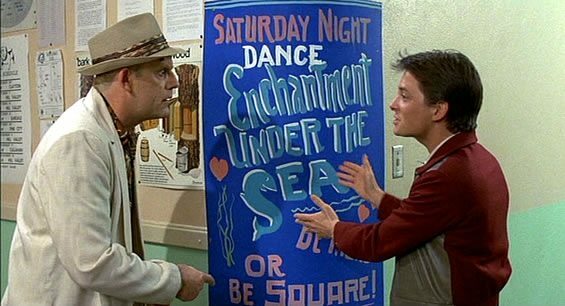 A fully immersive evening, you can begin your experience at the Enchantment Under the Sea dance and see if you can find your Earth Angel with Marty McFly. Head into the galleries for a full vintage market and fashion show. Discover how close to the future the 80s hit movie got, with our science of Back to the Future workshops, or get crafty and have a go at building your own Delorean car, before taking a seat to watch a classic 80s movie in the Sir Patrick Moore Planetarium (tickets to see the movie are NOT included in the basic package. You must add the film of your choice when booking, at a cost of £5 per movie). It’s Back to the Future Party Night in Aylestone on 21 October. Entry is free and fancy dress is a must. Expect films, dancing and lightning. When it’s all died down in November the Y Theatre will be waiting to give you another injection of Hill Valley with their all singing all dancing Enchantment Under The Sea Dance on Saturday 14 November. 2015 marks the 30th anniversary of Marty McFly going Back to the Future, now we invite you to come back 60 years to 1955 and join us for a night at the Hill Valley High School Prom! Drink punch and swing-dance to our live band, The Waletones, performing iconic hits from the movie soundtrack and 50s jukebox classics! So what are you waiting for, hop onto your time machine, fire up the flux capacitors and join the party! Set the scene by dressing up 1950s style and be crowned prom King or Queen! 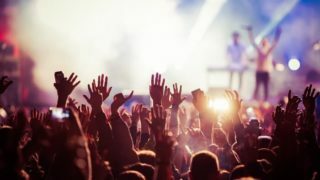 Tickets cost £15 and are on sale HERE.